Hey Guys! 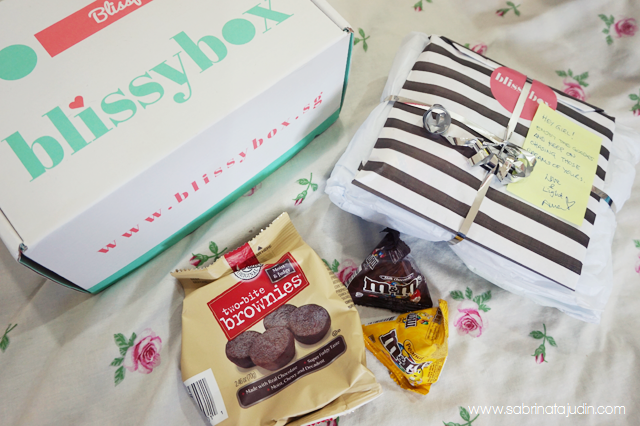 Today post id going to be about BlissyBox. If have read my previous post about BlissyBox, you may have know what is it. 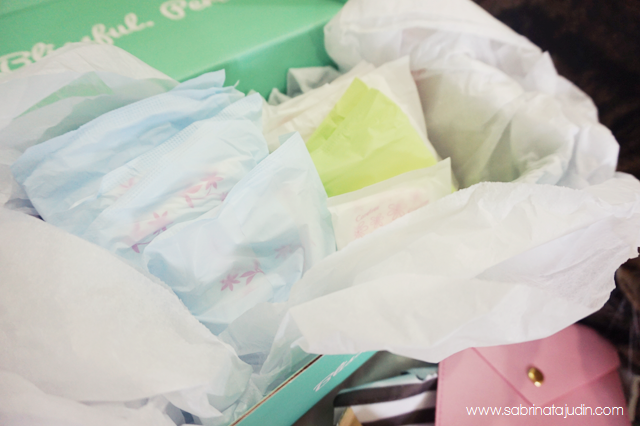 This month I got another box and I can't wait to show you guys what's inside this month BlissyBox. Basically BlissyBox is a monthly subscription box that you can pay monthly and then each month you will receive a box full of surprises that is related to your "period needs". You will be provide with pads and some goodies that you will love. 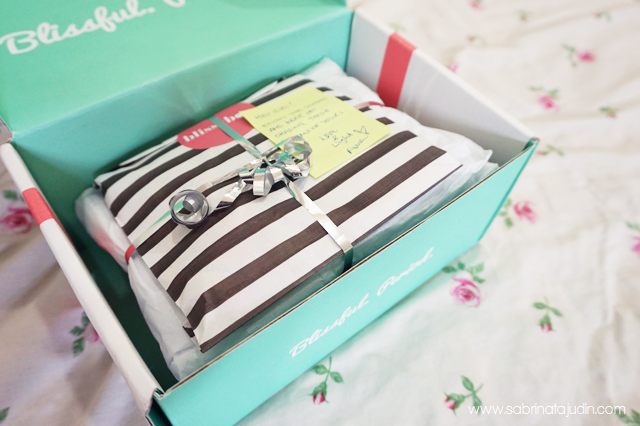 So what did I get for this month BlissyBox? Let's find out! As I open the cute little box that I seriously love, I found a pack of wrapped pads and of course, chocolate. Need I say more. The savior during that stress moment! Yay more snacks for me! Can't wait to taste that brownies. Need to keep that during those days! Here are the pads that I got. Pretty plenty for that whole week and a few pantyliner. Super essential. Thank you thank you! In that stripe bag contains more goodies, Innisfree mask & serum and a little cute pink pouch bag. Oh yes, my cat, Lembut decide to take the M&M away from me while I'm taking picture! Nice move Lembut! Thats mine! So if you are interested in subscribing this awesome box or would I say "Period Kit" of yours that you need. Click down below to their website and see more details. Price starts from RM24.00+ (converted from Singapore currency). You can customize which pads/tampons that you desire to fit your monthly needs. Check them out! the packaging is superb ! harga pun murah !